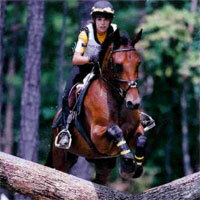 Previous four photos by "Hoofclix.com"
Stormy was bought in 2001 for Ethan and Devon when they were first learning to ride. 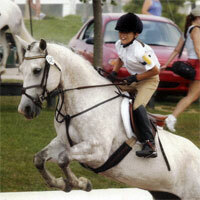 She was schooled and trained to Novice level and then sold as a dressage horse and companion. 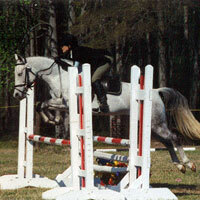 Gabby was bought in 1997 as a rising 2 year old. 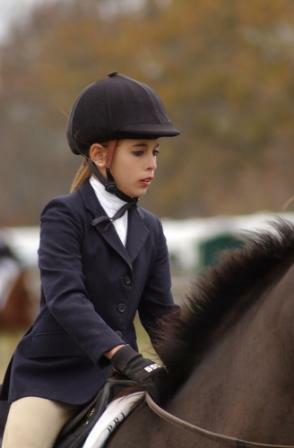 She was brought along slowly until midway through her 4 yo year, and then she went from Novice to Prelim in just one year! 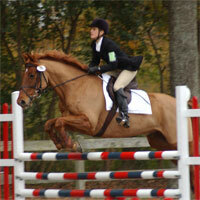 Note: I learned that Gabby was sold again(Feb. 06) to another young rider. 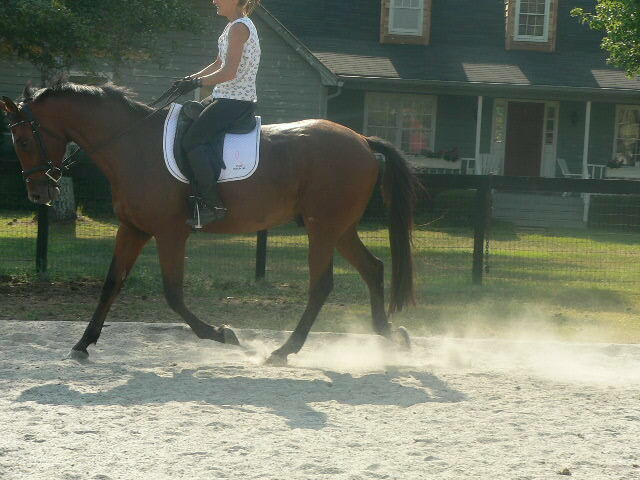 Gap was purchased as a 3 year old in 2003 just 6 mos under saddle. He was the "odd man out" for about a year until we purchased a 3 horse trailer. 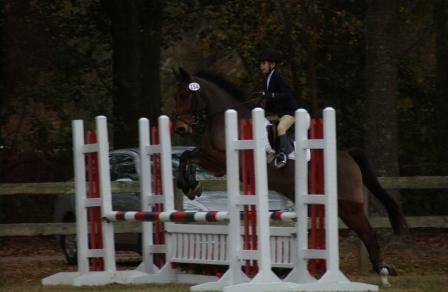 Then he progressed rapidly to training level after just one outing at Novice. 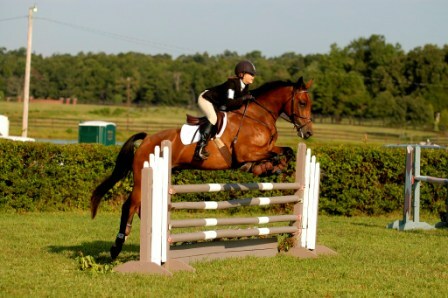 He was schooling Prelim when sold in 2005. 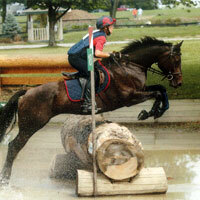 OD was found by Ruthie Harbison in Ireland in 2003. 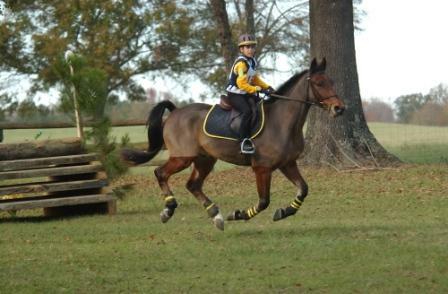 He came over just 6 mos under saddle. OD was a fast learner, going from Novice to a One Star in just a year and a half. 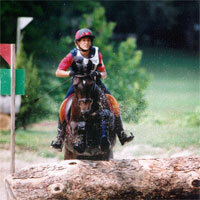 He had a very successful year in 2005 qualifying for the AECs at both Training and Prelim. 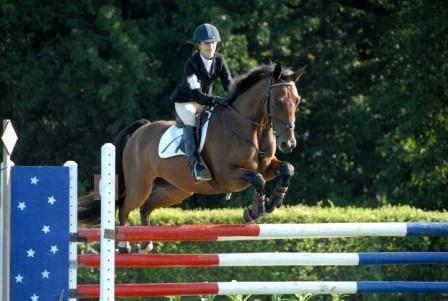 He was almost ready to move up to Intermediate when sold in 2006. 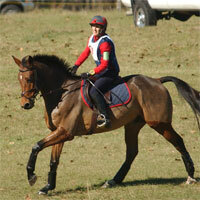 "Thank you so much for Gap's beautiful halter!!!!!!!!! I just got it in the mail today and it is perfect. That was so nice of you to send me such a beautiful halter to go with my beautiful horse that you ALSO blessed me with. What is so ironic is that the halter you picked out for Gap is the same exact one that I had asked for Christmas!! Its perfect! I couldn't have asked for a better present. Gap and I have been doing really well. 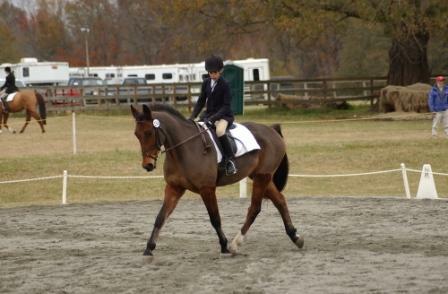 Its getting harder though to ride him as much as I want with school and daylight savings. He is so sweet and I love him to death. Thank you again for my present!!!! You have been so kind and generous and I really appreciate everything you have done for Gap and I. "OD is worth his weight in gold! 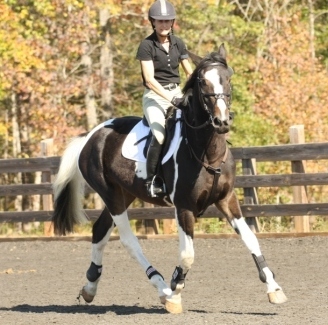 He is totally forgiving of me as I'm learning to re-ride after a 20 year "break". 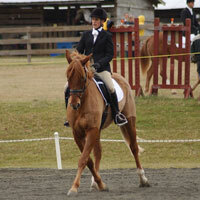 He was in a dressage clinic last weekend and we got some great hints. He's softening so nicely and his collected canter is a dream. I'm riding him 5 days a week and am having a great time. 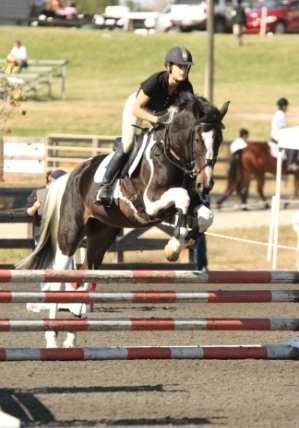 I hope to compete in the fall, when I am ready. He's beyond ready! He is absolutely so sweet and such a good boy. 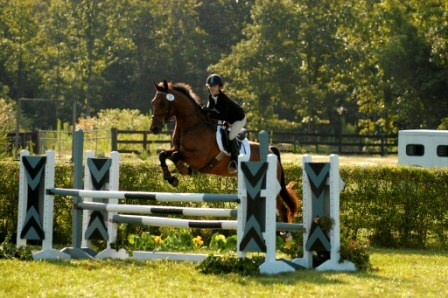 Everyone at the barn adores him. He does have his special friends although I must say he never meets an enemy."